ABC Family has given the go-ahead for two new reality shows, Dancing Fools and The Vineyard. Both will go into production in the spring and premiere sometime this summer. 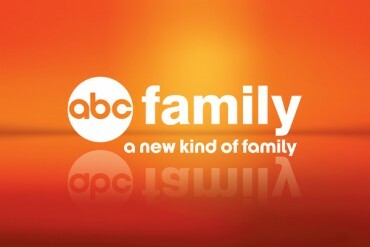 BURBANK, CA – February 13, 2013 – Michael Riley, president, ABC Family, today announced the pick-up of two reality series, “Dancing Fools,” which will be hosted by Melissa Peterman, star of the network’s hit comedy series, “Baby Daddy,” and a docu-soap, “The Vineyard” (working title). Production on both series will begin this spring. “Dancing Fools” is a half-hour unscripted comedy hosted by Melissa Peterman, who also stars in ABC Family’s “Baby Daddy” — which was the #1 new cable comedy of Summer 2012 in key women demos — and in the upcoming ABC reality series, “Bet on Your Baby.” Created and executive-produced by Phil Gurin (“The Singing Bee,” “Oh Sit”), the series is produced by the Gurin Company. “The Vineyard,” a dramatic coming-of-age docu-soap, follows a handful of 20-somethings in Martha’s Vineyard for the summer. Tight quarters, new friends and new rivals, all living, working and playing together, make this picturesque playground ripe for mischief and romance. “The Vineyard” is created and executive-produced by Dave Broome (“Biggest Loser”) and Brian Smith (“Masterchef”). The series is produced by 25/7 Productions. Both reality series will premiere this summer with the recently announced one hour dramas “The Fosters,” from executive producer Jennifer Lopez, and “Twisted,” from executive producer Gavin Polone. “Baby Daddy” launched as the network’s #1 comedy series in ABC Family history and will return for its second season in May 2013. The series follows Ben (Jen-Luc Bilodeau), a young man in his early 20s living the life of a bachelor as a bartender in New York City with his buddy, Tucker (Tahj Mowry), and his brother, Danny (Derek Theler), a professional hockey player. Their lives are turned upside down when they come home one day to find a baby girl left on the doorstep by an ex-girlfriend of Ben’s. After much deliberation, Ben decides to raise the baby with the help of his friends and his protective and sometimes over-bearing mother, Bonnie (Melissa Peterman), and his close female friend, Riley (Chelsea Kane), who has had a secret crush on him since childhood. Riley is hopeful that Ben will finally take notice, but she doesn’t realize that Ben’s brother, Danny, is harboring a secret crush on her. From executive producer Jennifer Lopez (“American Idol,” “What to Expect When You’re Expecting,” “The Back-Up Plan”) and created by Bradley Bredeweg and Peter Paige (“Queer As Folk”), who will also serve as writers and executive producers, “The Fosters” stars Teri Polo (“Meet the Parents”), Sherri Saum (“In Treatment”), Jake T. Austin (“Wizards of Waverly Place”), Hayden Byerly (“Parenthood”), David Lambert (“Aaron Stone”), newcomer Maia Mitchell (star of Disney Channel’s upcoming “Teen Beach Movie”), Danny Nucci (“Titanic”) and Cierra Ramirez (“The Secret Life of the American Teenager”). The series is a one-hour drama about a multi-ethnic family mix of foster and biological kids being raised by two moms. Joanna Johnson (“Make it or Break it”), Simon Fields, Benny Medina and Greg Gugliotta will also serve as executive producers. The series is produced by Nuyorican Productions, Inc., and Prodco, Inc.
“Twisted” is a one-hour mystery full of twists and turns that is centered on a charismatic 16-year-old with a troubled past who has recently reconnected with his two female best friends from childhood, and who becomes the prime suspect when a fellow student is found dead in her home. The series will be executive-produced by Gavin Polone (“Gilmore Girls,” “Zombieland,” “Curb Your Enthusiasm,” “My Boys,” “Jane By Design”) David Babcock (“Brothers & Sisters”) and Adam Milch (“Greek”), who also wrote the pilot. The drama stars Avan Jogia (“Victorious”), Maddie Hasson (“The Finder”), Kylie Bunbury (“Prom”), Kimberly Quinn (“Terriers”), Sam Robards (“Treme,” “Gossip Girl”), newcomer Ashton Moio and Denise Richards (“Two and a Half Men”). The series is produced by Prodco, Inc.
Part of the Disney/ABC Television Group, ABC Family is distributed in over 97 million homes. ABC Family features programming reflecting today’s families, entertaining and connecting with adults through relatable programming about today’s relationships – told with a mix of diversity, passion, humor and heart. ABC Family’s programming is a combination of network-defining original series and original movies, quality acquired series and blockbuster theatricals. Emmy(R) Award-winning ABCFamily.com provides a variety of interactive entertainment and community features, from rich, fan-centric programming – including blogs, viewing parties, webisodes, full episodes of the network’s hit programming, along with sneak peek exclusive previews and behind-the-scenes clips. ABC Family is also the destination for annual Holiday events with “13 Nights of Halloween” and “25 Days of Christmas.” ABC Family. A New Kind of Family. What do you think? Do either of these sound appealing? Will you give them a try? More about: Dancing Fools, Dancing Fools: canceled or renewed?, The Vineyard, The Vineyard: canceled or renewed? These sure sound like losers to me. Pass. Garbage like this is why I don’t watch “ABC Family” whatsoever.